Invisalign is a low profile, invisible orthodontic appliance that straightens your teeth without traditional metal braces. 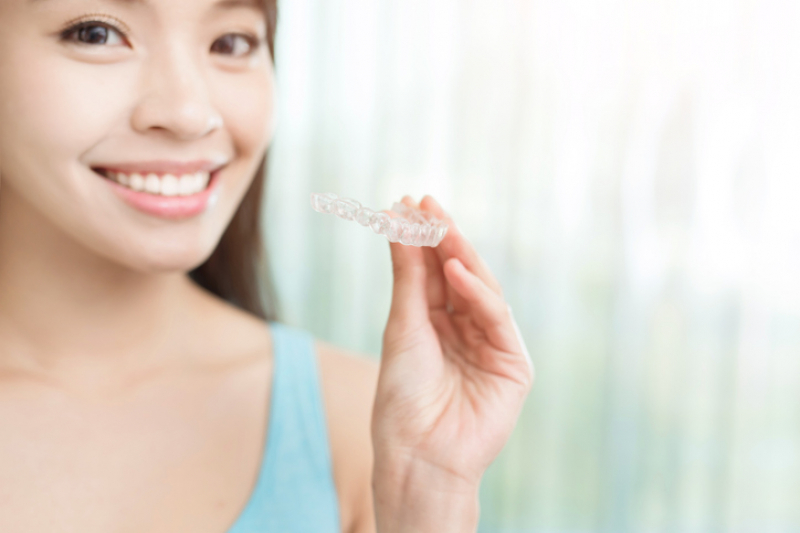 Read on to find out how long the Invisalign process will take. Invisalign is a series of clear plastic aligners that straighten your teeth in small increments over a predetermined period of time. If your teeth are severely misaligned, it will take longer to straighten them. With Invisalign, the severity of your misalignment will determine how long your treatment winds up taking. You play a large role during the duration of your treatment. Your dentist will give you an estimate of how long your treatment will take, and you can help make sure that treatment goes as planned by always wearing your aligners when prescribed. During treatment with Invisalign, you must wear your aligners full time, every day, to make sure things stay on track. That means 22 hours a day of aligner wear each and every day for the duration of your treatment. The more compliant you are, the quicker the treatment will go. Only take out your aligners to eat, brush, and floss. Don't forget to put them back in! Acceledent is a supplementary orthodontic device that uses soft pulse technology and cyclic forces to accelerate the movement of teeth by up to 50% during orthodontic treatment.